Only an African can tell tales of a true okro soup and garri . The wonderful feeling that accompanies each draw of the okra soup from your plate to your mouth, then straight to your throat then tommy. What a beautiful feeling eating this delicious goodness. It doesn’t waist time to go down since it’s slippery. The okro plant have many proven health benefits . Okro contains potassium, vitamin B, Vitamin C, follic acid and calcium. It has a very dietary fiber contains and low in calories. 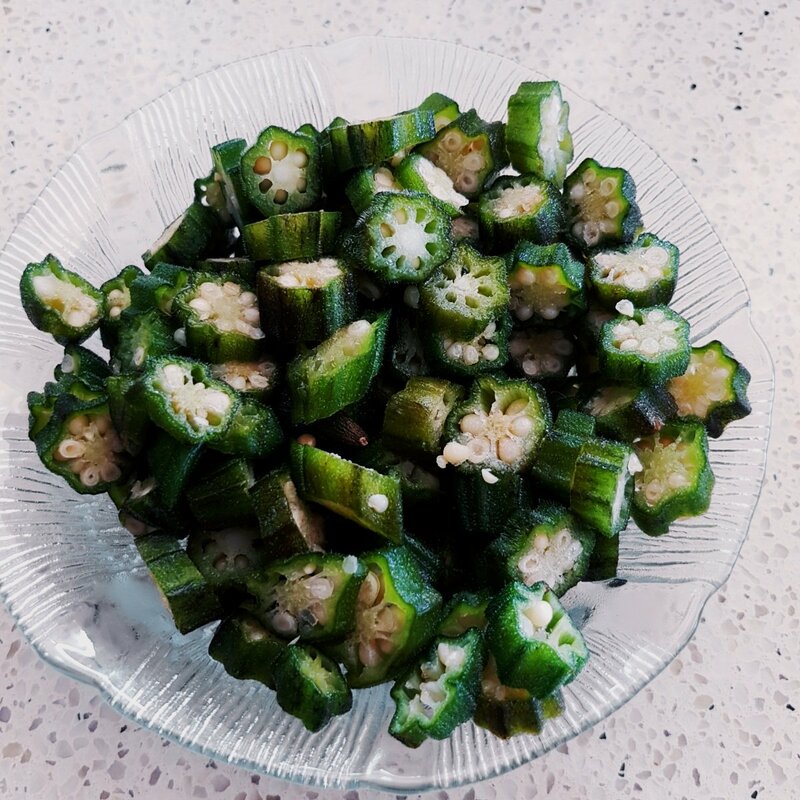 Okra has been remarkably beneficial to help manage the blood sugar level of people suffering from type 1 , 2 and gestational diabetes. 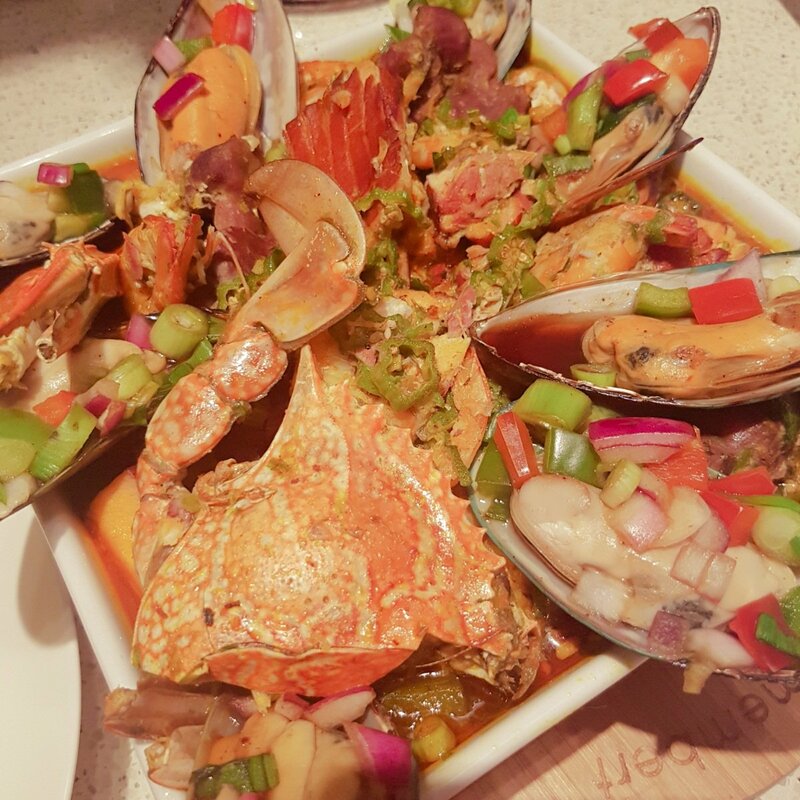 I selected very fresh seafood to combine with my okro. I made a great selection of fresh crabs, smoked salmon, prawns and some fresh musels. I am a spicy person and my okra needs herbanero pepper. Yeah! I graced it with one very hot pepper. In a pot pour 4 tablespoon of vegetable oil and fry prawns. Add salt, stock cubes and diced leek and then fry stir properlyfor 3 mins and set aside when done. Boil crabs, smoked salmon and meat in a pot with 2 cups of water. As it simmers add diced okro and stir add some crayfish. 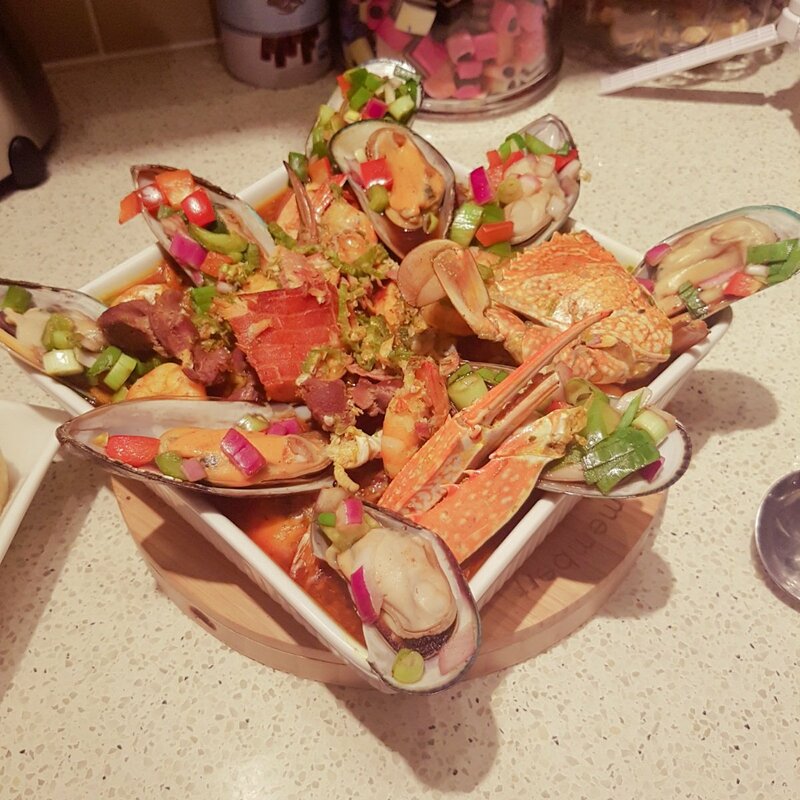 After simmering for 5 mins add prawns with its delicious souce, add mussels and let it simner for 3 mins. Add the rest of the stock cubes and stir. 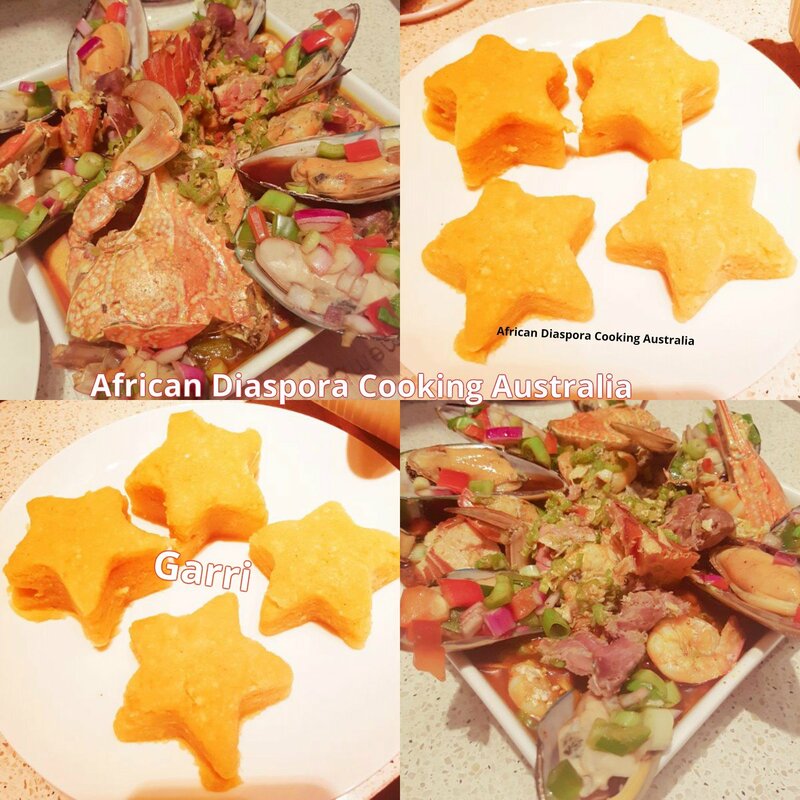 Remove from heat and allow to rest for 5 mins then serve with garri. Next Post ANZAC BISCUITS RECIPE/ How to make anzac biscuits.